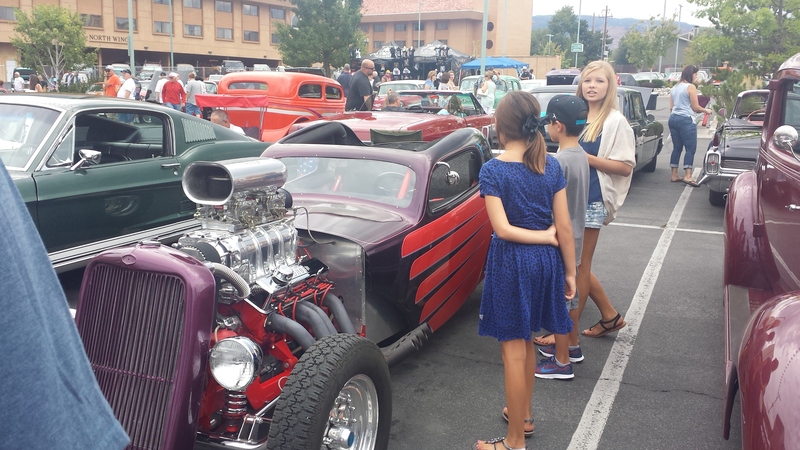 We drove out of California last Tuesday and pulled into Reno, Nevada. 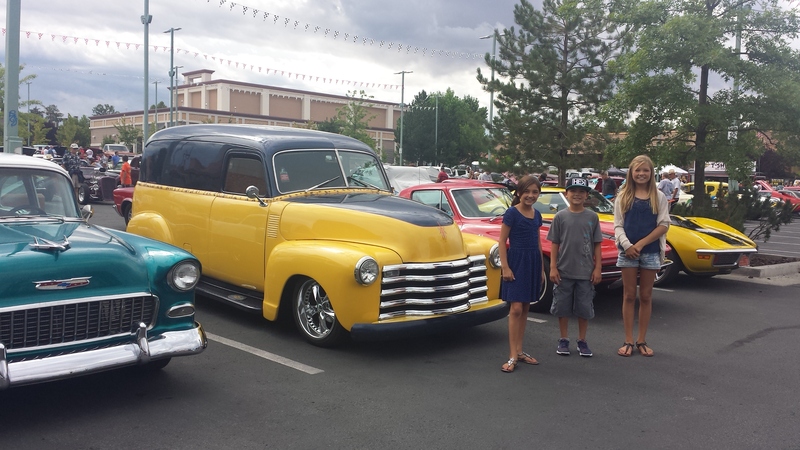 I know, I know…you are probably saying “why?” Well our why is “because Daddy has business in Reno.” Our stops and travel patterns are largely centered around the hubby’s work schedule. So….we met the littlest big city…or so they call it. Any who…we enjoyed 8 nights in Mammoth. They were awesome! We even managed to squeeze in 3 LONG hikes with Chris over the weekend or after work. We love Mammoth. My family shares a home that I have been going to for 30 years. It’s crazy that after all these years, we find so many new places and still love every visit. 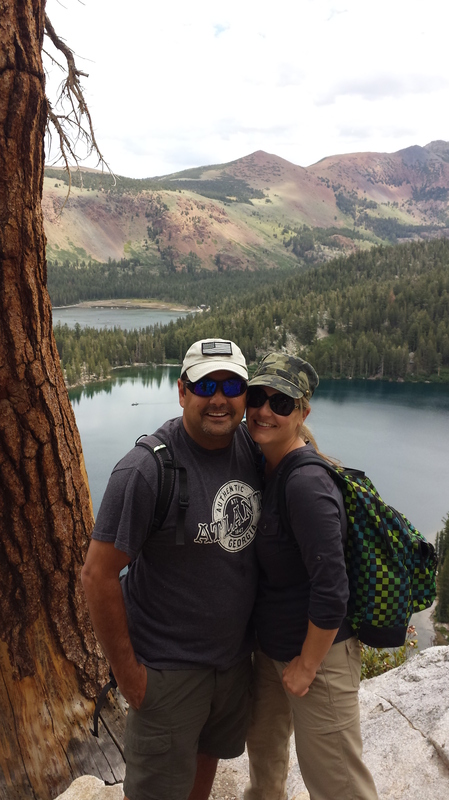 We hiked to Sherwin Lakes…a 4.5 mile hike. Nice steep switchbacks up the mountain. We climbed almost 1,000 feet in elevation. The best part….we only saw about 6 people the whole time. This is a great hike if you’re not in a hurry. Take plenty of water. It was over 85 degrees in the hot sun the day that we hiked and I ran out of water. 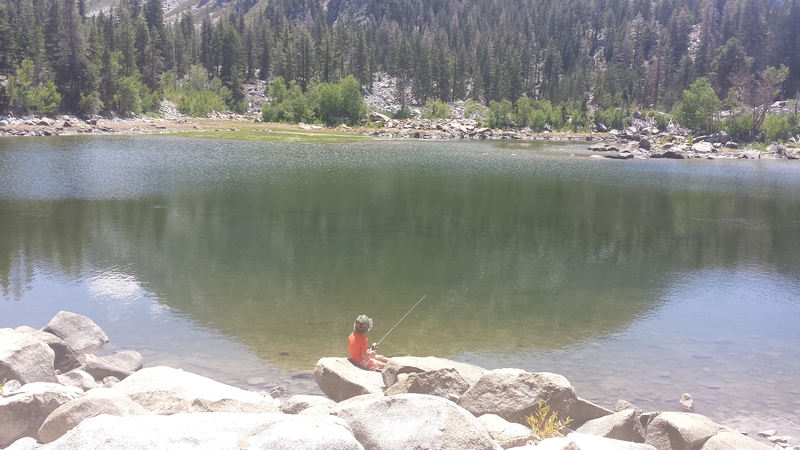 My kiddos hiked with their poles and found plenty of tiny trout to catch and throw back. It was also a great spot for a picnic lunch. 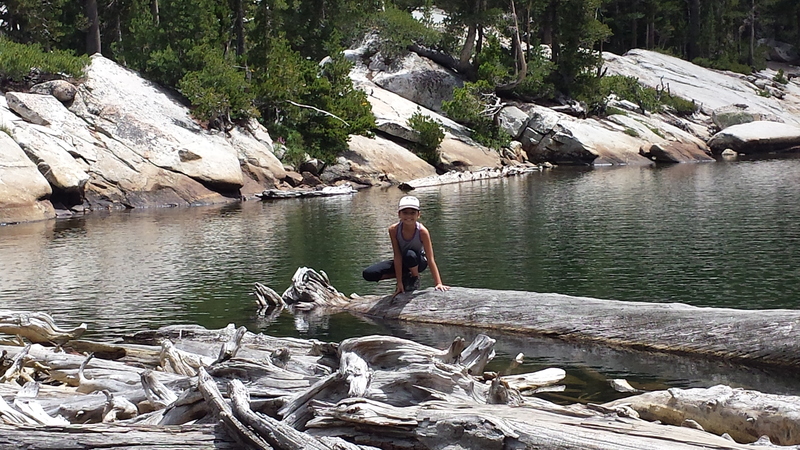 Another great hike was to Crystal Lake. We have done this one before, but I love it! Nice not-too-steep switchbacks. Killer views of Lake George and Lake Mary. 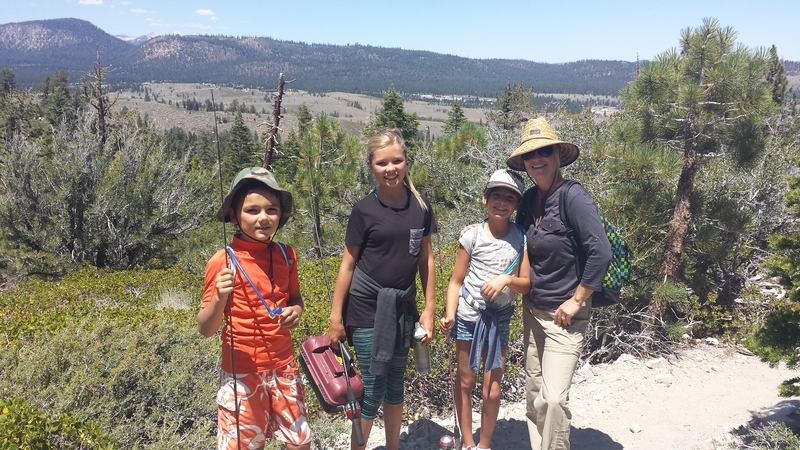 My sister and her family joined us and even my two little nephews managed to keep up with us along the trail. The best part…Chris and I did this on our 16th anniversary! I loved having a family hike on our special day. 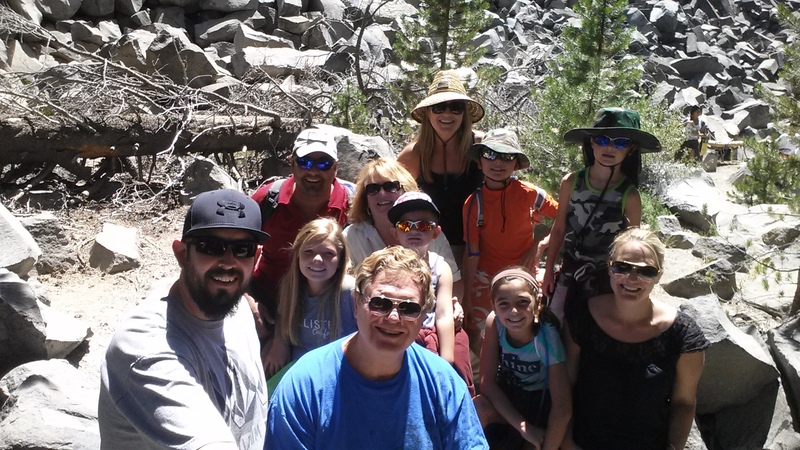 Our third hike was to Devil’s Postpile and Rainbow Falls. 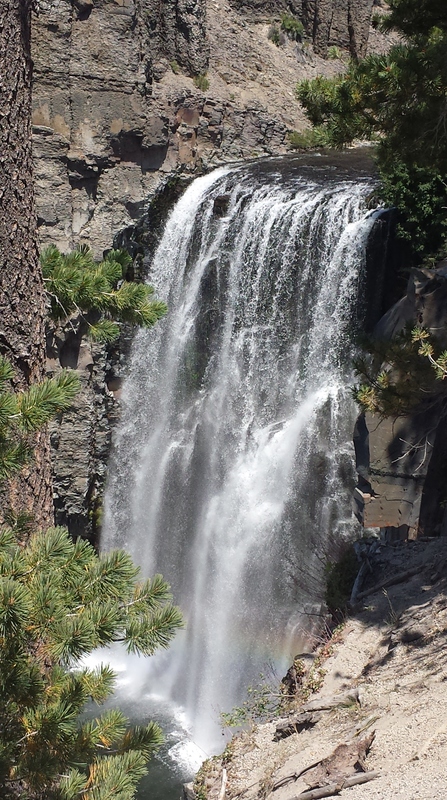 We have done Devil’s Postpile at least 5 times in the last twelve years…but this was our first time for the falls. Wonderful hike! My parents were daring enough to join us and it was such a special family day. It’s a long hike in the sun…so wear your big hats when you go! 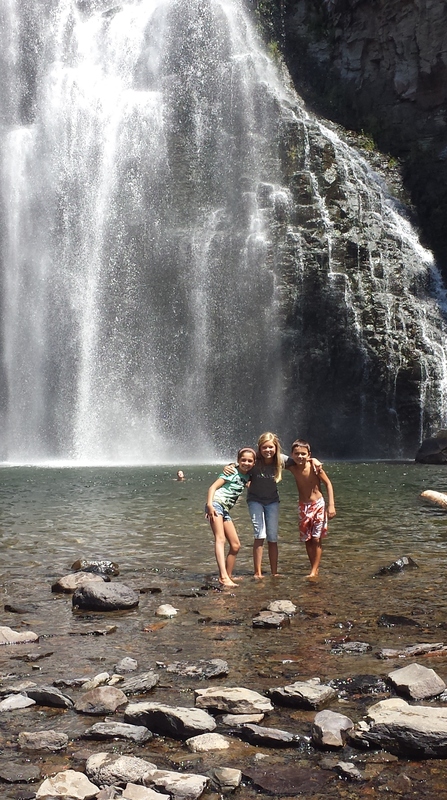 …and we highly suggest bathing suits when hiking to Rainbow Falls. From Reno we ventured up to Idaho. We literally traveled all over for two days. 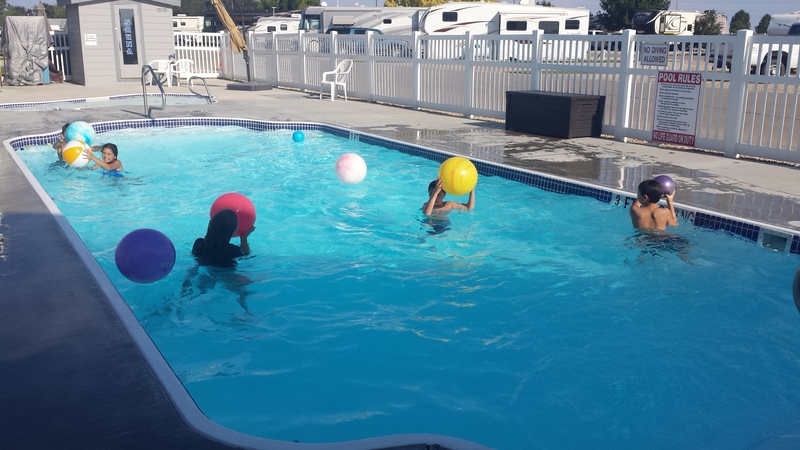 Saturday night we stayed in Caldwell, Idaho where we stayed in a lovely (impeccably clean) RV park called Ambassador RV Resort. We definitely need to remember this one for the future. After over eight hours in the car, this place was just what we needed. A nice pool and spa, huge wide spaces that were pull through, a cement patio with table and chairs, a game room, playground and great showers. And the pool…management was kind enough to have a giant bin of balls for our use in the pool. 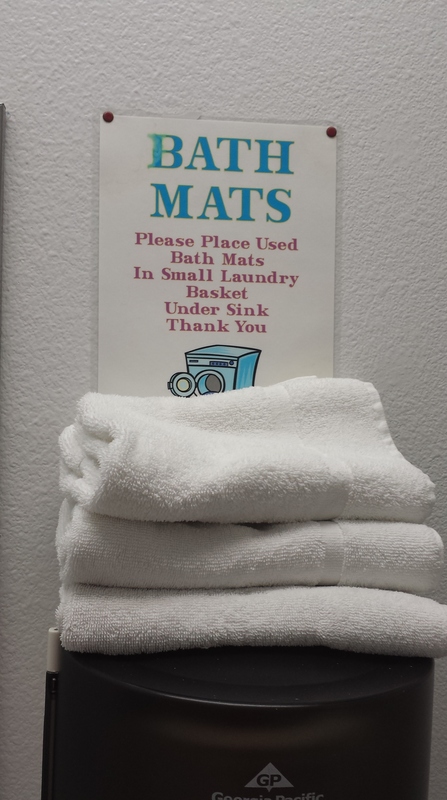 Every RV park should do this! It’s a good reminder that after a long day of travel, we need a fun way for the kids to burn off their energy. 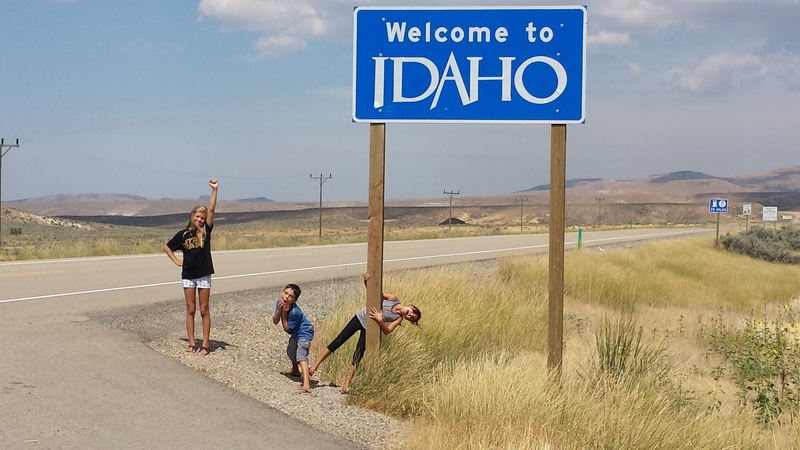 So over the weekend we traveled through Nevada, Oregon, Washington and Idaho. It was quite the drive, and well worth it! 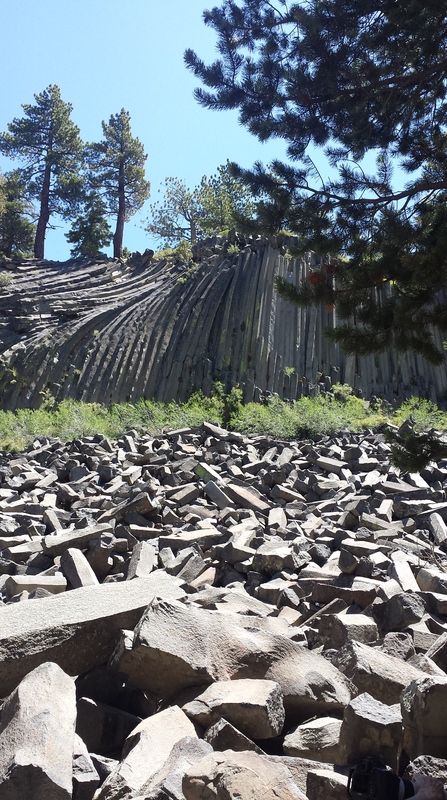 Next Next post: Where Have We Been?…Idaho, Montana & Wyoming!